Wooden blinds adds up traditional look to the place, they are made either from wood or alternatives like composite and faux. 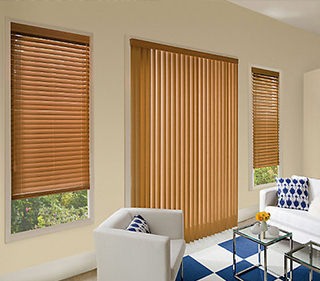 These blinds are inexpensive and also made from seasoned wood. 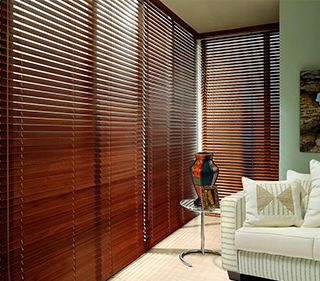 Wooden venetian blinds are sturdy which upholds any weather and the warmth colours offered are eye catchy. The wooden slats can be tilted according to the needs either to gently filter the light for the view or close them for complete privacy. The wooden slats are available in 35mm and 50mm widths. It comes in both tape and cord types.